"AMaT has reduced the time taken to carry out an audit, and increased visibility of the process," said Alison Leather, clinical audit & effectiveness manager. This is helping to make sure that quality improvement actions are more embedded in the culture and activity of the trust. "We could have junior doctors doing duplicate audits," said Alison. "Now with increased visibility of AMaT, junior doctors can see what audits have been done." This means that those embarking on an audit project can focus on areas with real impact, for example by carrying out re-audits of previous quality recommendations, or work with colleagues to focus on areas that have the most benefit. "We now know what we are doing, so if we wanted to focus on a pathway such as COPD, you can use an audit to get real insight into what is happening in that area." 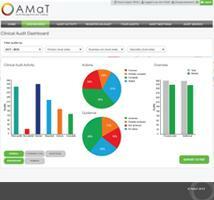 AMaT is also providing greater visibility of the progress of quality improvements. "We can say instantly, because they are updating their audits, how many have led to an improvement or achieved their criteria. We just wouldn't have known this before," said Suzanne Henderson, project manager & AMaT system manager. "Now we don't have any pieces of paper coming into the office," said Alison. After about 12 months of use, the process now is entirely online. "We had around 250 audits every year using our old system," said Alison. "There were 467 audit and quality improvement projects registered last year." Clinical teams can see everything, governance teams can see everything. It is much more open," said Suzanne. 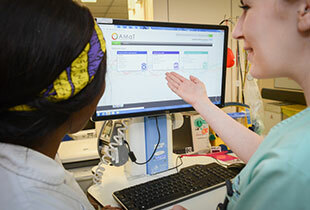 The result was AMaT, which has been developed to meet the trust's clinical audit needs, and which can be used by others who recognise that proper use of this process through an easy-to-use tool can drive a culture of quality improvement. We looked at different systems on the market," said Alison. There was nothing that did everything that we wanted it to do, for example ward audits and NICE compliance statements. We thought, there must be something better out there. We worked with Meantime and they have developed a solution that best meets our needs." You don't have to be an expert to use AMaT," said Suzanne. It can be checked by everyone with access." Such global access is leading to many fresh ideas for development. These include the use of AMaT to review the trust's mortality and morbidity performance, and further work around developing it around specific clinical specialities. AMaT is also being explored to support cross-trust audits, so that standards of care can be monitored across the multiple care settings central to the NHS' drive for more integrated care. For others considering how they might use technology to support clinical audit and quality improvement, Alison - drawing on 25 years in the field - suggests that clinical audit teams look at what will best meet their needs. Have a look round, and see what you need. Speak to people using the system on a daily basis," she said. I would wholly recommend AMaT, if they wanted to come and speak to me. Come and see how it works in real life." 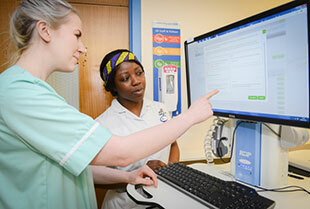 Trusts to use audit to deliver quality across multiple sites, so enabling the delivery of high quality integrated care.